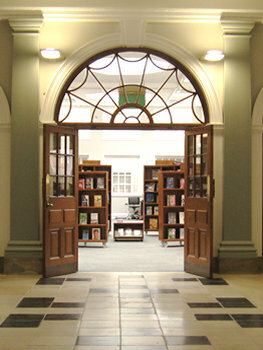 I’ve written about libraries a couple of times before, specifically about York Explore (formerly York Central library). Which in recent years has been transformed into a very modern, bright, inclusive and accessible kind of place. I always loved it but now more people use it and love it, including younger people, which is an excellent thing. We all know, however, that these are difficult times, and that library services are under threat as a result of funding reductions. City of York Council is now looking into other ways York library services could be run. I’m not a journalist, and this website isn’t really a ‘news’ site, but I’ve been so frustrated by the lack of information that the following is an attempt to gather together the various articles and opinions I’ve been reading. Please feel free to add relevant information or opinion via the comments. Council leader James Alexander said in a recent Press report on this that ‘Residents showed us they want us to explore different delivery methods’. On Twitter I asked where we’d shown this. Answer: via the results of the Big City Survey (PDF). It does show that those residents who completed the survey were open to other possibilities. No reason not to be, if services are under threat. But the same data also appears to show that 66% of residents questioned have very little idea, or no idea at all, of what the ’social enterprise’ model is. So lots of information/education needed then, if we’re to be properly informed regarding this major decision. The new libraries organisation might be something similar to York Museums Trust, Steve Galloway suggests in his blog. He points out that YMT has achieved great things, but comes across as not particularly transparent or open to the public. There was a survey, a couple of months ago, asking library users about the services they used, and their views on what was most important. It was also clearly trying to recruit more volunteers from the wider community. In fact, that seemed to be its main purpose. What it didn’t ask, strangely, was the main question: whether library users wanted the libraries taking out of local authority control. Or, to phrase it another way, whether we want the local authority to give away control of the libraries. At a council meeting on 13 December Cllr Nigel Ayre asked when this consultation on the main question would take place. No date set yet, as far as I can tell. Not that it matters much anyway, perhaps. If the public view meant anything the question would have been asked in the recent survey, surely. To ask people to engage with all those minor questions but not ask them the main one seems odd. Since then the headlines have been, in the main, oh so positive. According to press stories over recent months, you’d be forgiven there’s nothing at all to be concerned about. It all sounds so cosy and safe. Radical plan aims to safeguard York libraries (18 December) … Mmm, radical (exciting!) and also safe. What’s not to like. The Council’s own press release (in that quiet ‘between Christmas and New Year’ time when most people aren’t paying much attention) was of course almost joyfully exuberantly positive Developing a community solution for York’s libraries (28 December 2012). Oh, that’s alright then. It’s got ‘community’ in it, and it’s a solution too. Marvellous. The Press were impressed, and reported soon after: “Community benefit society” plan for York’s libraries moves step closer (1 January 2013). This headline suggests we’re all eagerly awaiting this thing. This thing put in inverted commas because actually we haven’t a clue what it is. No balance, no other voices, just the council line. And most recently: City of York Council to explore library changes (9 January 2013), which briefly mentions the other perspective, and the union’s view. In the midst of the Press’s generally unquestioning coverage was a brief piece suggesting that not everyone was joyfully embracing the proposed new model. York leaders face library plans quiz (11 October 2012) quoted Cllr Nigel Ayre’s concerns about the plans and the need for a proper debate. Other councillors, letter writers, bloggers and commenters online have also voiced doubts and asked questions. Thank goodness for that. York Green Party also have concerns (Nov 2012). Steve Galloway commented on the plans in his blog: John Lewis approach to York Libraries (30 December 2012). And the central ‘community’ in all this? Thank goodness we still have unions, also asking questions, and answering a question I’ve been wondering for some months, which is, how do library staff feel about this? The Press on 9 Jan included the Unison representative (briefly), saying that staff felt ‘fearful and powerless’. Clearly not all staff will be feeling exactly the same, some are perhaps pleased about the proposed changes, but it isn’t looking like a simple solution or safeguard, as presented by the council and The Press. On the BBC website – Unison opposes plans to transfer York libraries to trust – staff are said to be ‘angry and upset’ at the plans. So perhaps this much-vaunted ‘community solution’ has already alienated the very community which should have been the first to feel onside and included. I don’t like the idea of librarians being angry and upset. I’ve been following this myself, filled in questionnaires, libraries are, after all, close to my heart..
And I’ve no idea what they are planning, or what the choices are, even when i filled in the questionnaire [thankfully, they had an option for ignorance in the questionnaire]..
‘consultation’ feels like a very empty word sometimes.. but thankyou for trying to collate what little information there is.. Interested to see your blog. Can we meet to discuss how I can fill in info gaps and do better in the future? I’m head of libraries and archives. The press like a good headline but they don’t tell the full story. Getting the impression that there’s a lot of concern but that it’s all a bit fragmented and ‘crossing in the post’, and on Twitter, press letters and comments, council meetings, etc, not joined up. Thanks for comments above. I will try to contact you via the email addresses provided. Further comments are of course welcome.